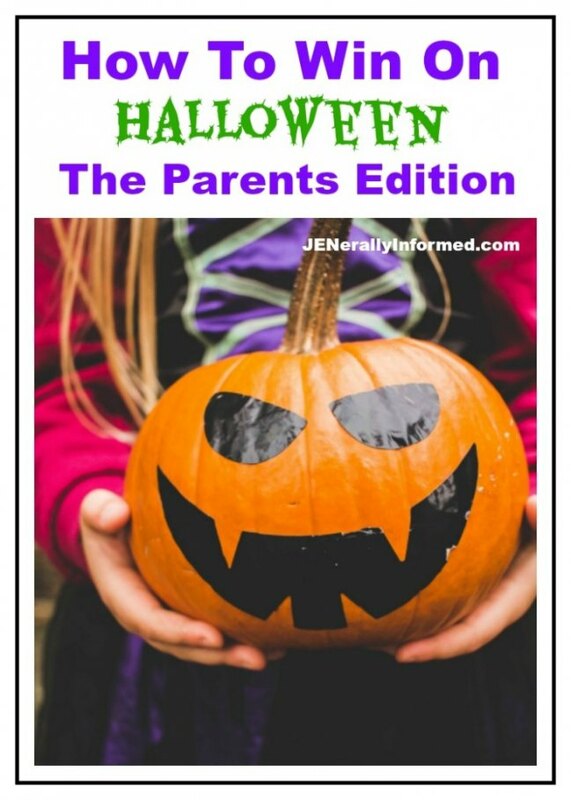 Fellow parents, doesn’t the lead up to Halloween kind of feel like that? 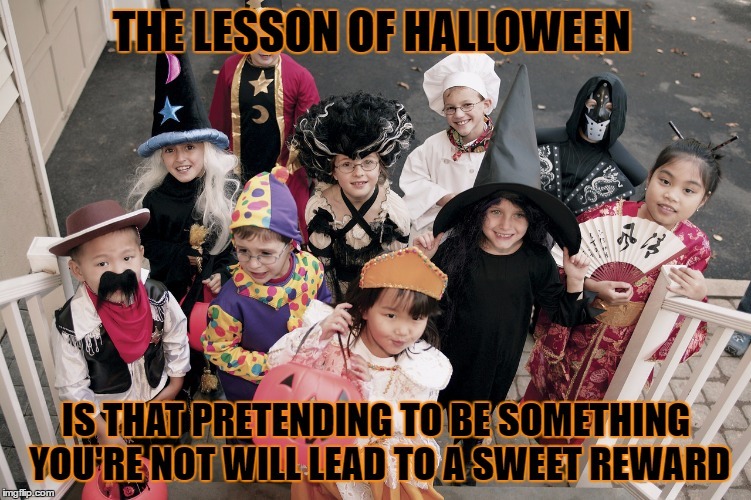 Plus the lessons Halloween teaches our kids are kind of funny and of course worth a meme or two. So, who’s ready for a brand new JENerally Informed printable?! You are all raising your hands right, because this one is super cute! Here is a little preview. 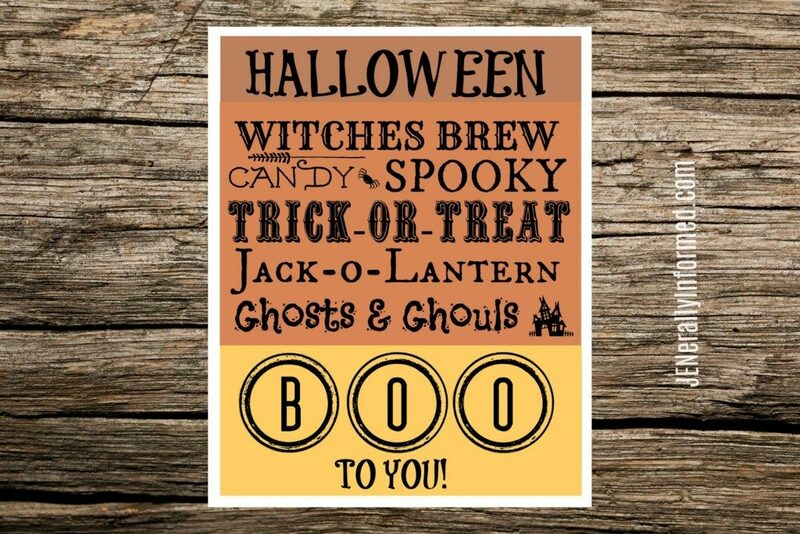 Grab this adorable #Halloween #printable and make decorating easier than saying boo! Visit here to print this PRINTABLE. Then throw it in a frame, and voila, you have a super easy and fabulous Halloween decoration ready to go! No need to say thank you, your pinning and sharing this image is welcome enough! And back from the JENerallly Informed vaults is this gem. You can read it here. What a fun post. Kids love Halloween and dressing up to get treats is great fun. Such a cute printable! I just love Halloween, though that “lesson” is hilarious! Isn’t it?! Happy Halloween to you! It’s a VERY cute printable. 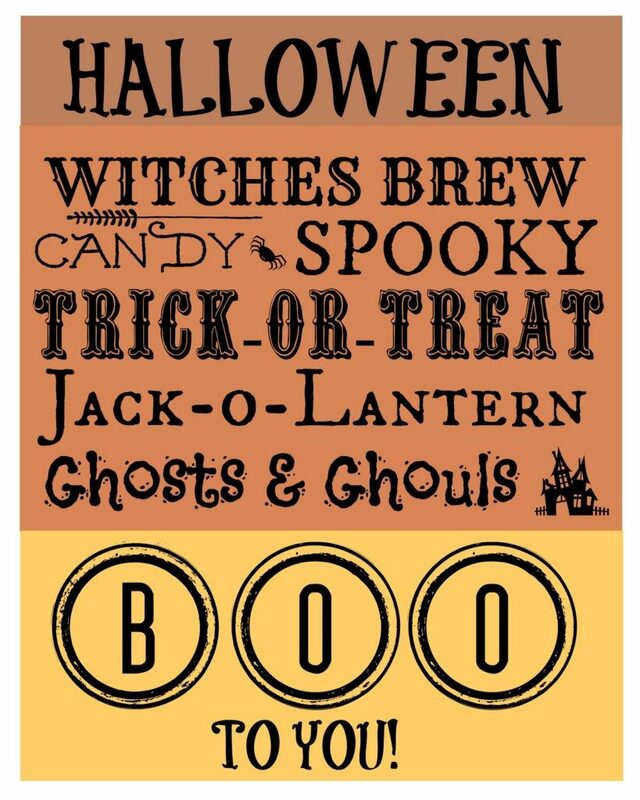 Many printables make me yawn but you always have amazing ones. 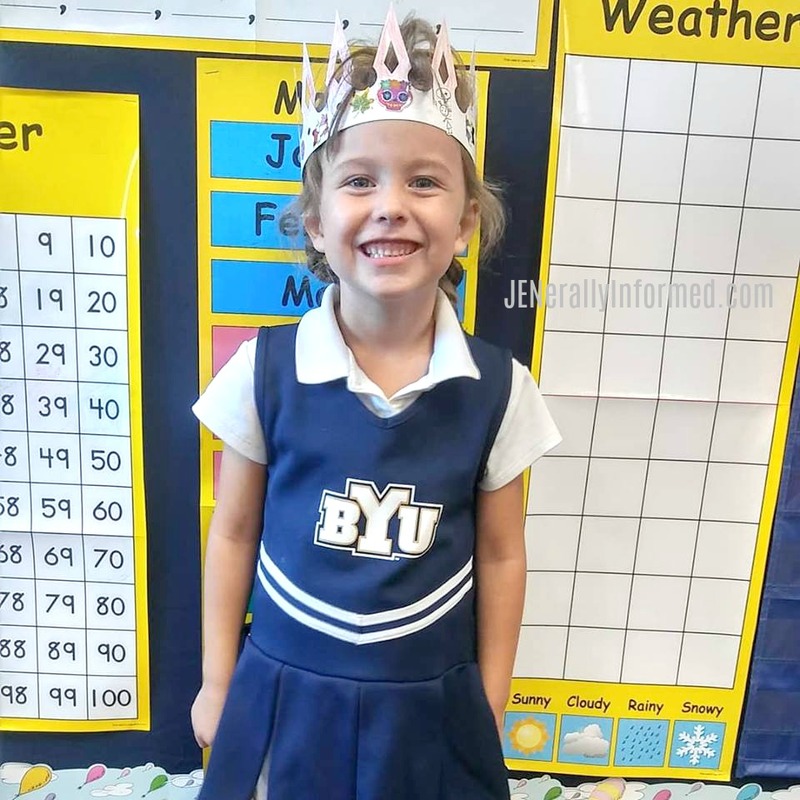 Both the printable and the kindergartner are totes adorbs!! Happy Halloween! Very funny lesson and great printable. Hi Jen, Anneliese looks a right little cutie. Halloween isn’t a big thing here which is a shame really as I do like a good excuse to double my sugar intake. You are the queen of printables! Thanks for the compliment! Having all of that candy is kind of dangerous, so maybe it is better for you.